Viral: MUST SEE sizzling hot photo of Sue Ramirez! Home / News / Viral: MUST SEE sizzling hot photo of Sue Ramirez! We can't deny the fact that Sue Anna Garina Dodd, or more popularly known as Sue Ramirez, is one of the most popular actress of her generation. Sue is an Irish American-Filipino actress with an incredible beauty that can easily catch the attention and capture the hearts of the people. Because of her good looks, talents, acting skills and her body, men and even some women couldn't help but to idolize her! What's more incredible is that a lot of men are describing her as their dream girl! 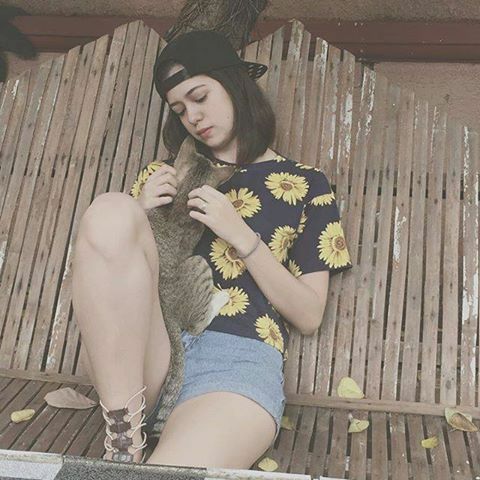 Now, a photo of Sue Ramirez is now circulating online! The photo shows the sizzling hot Sue Ramirez wearing a spaghetti strap top, high-waist shorts, a pair of boost and a coat that hangs over her shoulder. People describe her as one of the youngest actors, yet also one of the most beautiful and one of the hottest female celebrity in the showbiz industry! The said sizzling hot photo was posted on Sue Dodd's Facebook page, and now, it has been circulating over various social media sites.